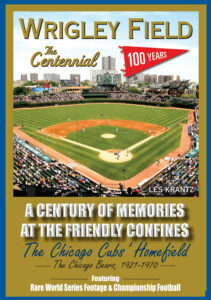 No history of Chicago can be told without chapters devoted to Wrigley Field and the home of the The Cubs. 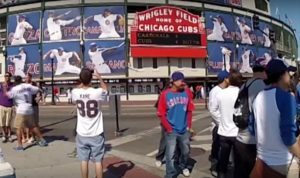 Celebrating 100 years of baseball at Wrigley Field, the film details the impact of a team and its famed stadium on a city and includes footage from every Cub World Series ever played to today’s Cubs and their modern play. 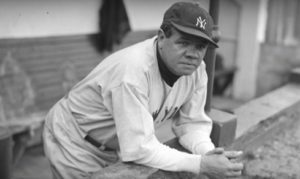 Wrigley’s first 100 years-from the origins of the ivy, to a century of fans, to the “big moments” on the field including Babe Ruth’s “called shot” in ’32, and the Sosa-McGwire home-run duel to today’s Cub stars. The film includes interviews with Ernie Banks, Ron Santo, Billy Williams, Ryne Sandberg, Greg Maddux, & Harry Caray. Rare, historic footage, beautifully documented and narrated by Lou Boudreau Jr. & Ron Santo Jr.